Home LITERATURE REVIEW Analysis Of A Man Of The People Themes, Characters, Summary, Pdf Download. 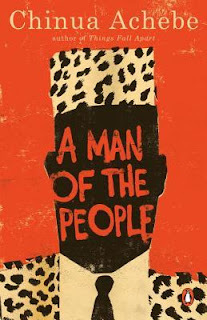 Analysis Of A Man Of The People Themes, Characters, Summary, Pdf Download. Chinua Achebe was born in 1930 and brought up in pioneer Christian family in large village of Ogidi Eastern Nigeria. Achebe after finishing his secondary education joined Ibadan University; it was in 1998 when he was 18 specializing literature fields. Chinua Achebe had mark able impact on the development of the literature of Africa through his early novels ‘Things fall apart (1958), No longer at ease (1960) and Arrow of God (1969). Achebe is widely published in almost all all genres of liter; the novel, short story, poetry, literary essays and children’s literature. The book was published at first in 1996 by East African Educational publishers ltd. The novel tells us on revolutionary activities of Odili Samalu who aimed to ovrthrogh the existing corrupt and irresponsible governance of Chief Honorable M.A, Nanga. The anti-government activities of odili samalu with raised the conflict between Odili samalu with his friends against chief the honourable M.A Nanga with his followers. In the chapter also we were told that the group of women called ego women’s party who wear expensive Accra clothes and group of hunters come with gun’s powder which are also very expensive too. Odili tells us why he started hating Chief Nanga he tells us two important things in 1960. Odili says in 1960 the price of coffee in the world market went down and the minister of finance suggests that the government should cut down the price of coffee in the brought from farmers in order to meet price in the world market but at that time election is near and the ruling party fear that if they would do so they will lose in the coming election. The prime minister sacks all the ministers who supported Dr. Makinde including Dr. Makinde himself and the prime minister instructed the National Bank to print fifteen million pounds in his speech of three hours in parliament. Chief Nanga who is minister of culture arrives in a Cadillac and he wears damask and golden chain, very expensive and has a fan of animal skin. (pg.7) Chief Nanga meets Odili who remembers him and tells him to the see each other again after the reception (pg.9). Chief Nanga tells one teacher he regrets leaving teaching job (pg.10) Chief Nanga admitting that people come from Anata and tell journalists “ it is a mammoth crowd” (pg.10) and Mr. Nwege tells him that is him who brought those people there. Also Odili tells us a story about his friend Andrew Kadibe who has got big kick out of it proceeds to tell us tha his friend Andrew Kadibe he tipped man ten shilling (tax-driver) after all him six. Also Odili tells us that the minister welcome him to go and spend holiday with him in the capital and when he is there Chief Nanga will try to find him out from his cabinet and there in the capital city Odili will get everything and stay to Chief Nanga’s guest room with everything complete. Also in this chapter Chief Nanga prouds himself that he is going to be given a doctorate degree and be started called “Honorable Alhaji Doctor (LL.D) Mongo Sego, MP”. Odili tells us that the left of Chief Nanga he makes sure that Odili writes down his address but this event bores Mr. Nwege as seems that Chief Nanga pay less attention to the conversation between Odili and his friend Andrew Adibe plus peter the house boy of Odili, in the absence of Peter Odili and his friend Andrew Kadibe proceed discuss about Chief Nanga’s behavior and they say that Chief Nanga does not deserve to be called a minister of culture because the outside world will laugh but Odili insists that Chief Nanga is not is not concerned with the outside world but the inside world. Odili in this chapter tells us that his ambition to go to the capital city where he can meet his girlfriend “Elsie” who he met her at the part in university and ending up making love the same day while making love Elsie mentioned the name “Ralph darling” and Odili tells us that he did not know who was Ralph until a week realizes that Ralph was Elsie’s boyfriend. Odili Samalu seems to be in preparation of for his journey to Bori. Before the journey Odili aims to take back his home, his house boy Peter and he aims to visit his home Urua, Anata for his parents. Finally, Odili arrives in the capital Bori at minister’s residence, he is welcomed. The same day with Mr. Nanga they go to Hon. Simon Koko at his home where they face strange actions of Hon. Simon Koko who starts to complain that he ate poisoned food and lamenting that he is dying. After the conversation ends then Mr. Nanga and Odili leave Simon Koko’s place and go back home where Chief Nanga leaves his wife and Odili. It is the next day after the arrival of Odili at Chief Nanga’s home. Odili seems to be tired of the journey. Mr. Nanga is in his preparation, off to the office . Odili Odili remains at home making stories with Mrs. Nanga. Then Mr. Nanga for lunch and at the same time Hon. T. C. Kobino phones Chief Nanga and they start to discuss about road construction. The arrival of Jean and John to Chief Nanga’s house takes place in this chapter. This chapter begins with Jean and John Invitation of Chief Nanga and Odili to the dinner, it is in Saturday when Mrs. Nanga left home. Then John unfortunately is told to be present at the opening of cement factory to Abaka. Despite this Jean reminds us that the dinner will be as invitation directs. Soon enters a beautiful woman who makes Odili thinks that the dinner part won’t be there, but Chief Nanga assures Odili that they will go. Chief Nanga introduces her to Odili as Barrister Mrs. Akilo. And as soon as Mrs. Akilo left Chief Nanga and Odili go to the international to attend the dinner. After the dinner party ended then Jean takes Odili in her car and takes him to Chief Nanga’s house. This chapter begins with Odili’s visit to Bori to meet Elsie who works in one of the hospital in Bori. In the first meeting which is early in the morning the talk is very short as Odili goes there just to inform Elsie that the other day he will go to meet her and also Elsie is in night duty. The other day Odili visits Elsie again to the hospital, it is early in the morning and according to hospital rules no one was allowed to meet hospital worker at this time but we are told because Odili goes with a Chief Nanga’s Cadillac with a ministerial flag then the gateman opens the gate and salutes and let Odili awakes Elsie from the nurses quarters. When Elsie realizes that it was Odili who awakes her then she becomes very happy to meet him and make some talks. After finishing their conversation they go to the book exhibition and while on the way Chief Nanga says he does not know even the meaning of book exhibition and the same applies to Elsie who adjoin Mr. Nanga and also Mr. Nanga says that he does not have even the speech of that exhibition day and Odili asks to prepare for him and yet Chief Nanga refuses saying that the speech is not important. In his speech in the exhibition Chief Nanga does not agree with Jalio’s wearing style and tells him not to wear it the other day what Chief Nanga needs is just to see him appearing in suit or national costume. Also Chief Nanga fails even knowing the names of news paper writers and he is the minister of culture. This chapter the story teller tells us that Chief Nanga was born a politician. In this chapter we are told that Chief Nanga is the greatest orator that he can say anything even one that sounds bad to people still people do not feel bad. At the end of the function Mr. Jalio and the editor of Daily Matchet congratulate Chief Nanga and ask the copy of the speech. Chief Nanga manages to give two copies of the speech to the editor of Daily Matchet. Then we come across the flashback about the visit of the editor to Chief Nanga’s home that was paid few days before the exhibition day. Here we are told that the minister is not interested to see the editor. Chief Nanga gives the editor two bottles of beer, enough pieces of cigarettes and a dash of five pounds after an account of his trouble with his landlord over an area of rent, it was not a straightforward case but because the landlord and the editor came from different tribes, the elements of tribalism could not be ruled out. Further, in this chapter after the visitor left the house, Chief Nanga says “If I do not give him something now, tomorrow he will go and write rubbish about me”. Chief Nanga does not like the freedom of press and he is ready even to assassinate those who criticize the government. (pg.66). Then, about eight o’clock full of darkness they left the exhibition and drive back home. When in the car conversation continues and Odili seats near Elsie and they touch one another, after reaching Chief Nanga’s place then the story teller and Chief Nanga had some whisky to drink. Later on the story teller narrates about the incidence of his girlfriend Elsie of sleeping with Chief Nanga. This incidence makes Odili leaves Chief Nanga’s house during the night and Odili manages to come across different people while in the way to the place where he could not know, he meets with beggars, lunatics and the street gangsters, then Odili decides to go back home to Chief Nanga and some conflicts occur as the situation was not tolerable to Odili.(pg71&72). Due to the situation then Chief Nanga tells Odili that “If you like I can bring you six girls this evening”. Then this makes Odili to leave Chief Nanga’s home to his friend Maxwell who was his classmate at the Grammar school. Lastly Maxwell Kulamo welcomes Odili some coffee to drink and within few minutes Odili feels relaxed. Max left for court at around nine and the story teller says that he is feeling full of weight of the previous night humiliation and when Max get in the house starts to be furious with his house boy for not giving Odili his share of lunch yet Odili defends the boy by saying he had been offered to be served some foot but he needed to wait, this was quite untrue. Odili and Max starts to eat and make some stories about the incidence faced Odili. And in the room there were eight young people in that evening. One but all were citizens of our country, mostly professional types. Also there is a beautiful lawyer that Odili recognizes that the girl engaged to Max whom she had first met at the London School of Economics, there is a Trade Unionist, a doctor, another lawyer, a teacher and a news paper columnist. Max introduces Odili and other people introduce themselves to Odili. People who are inside are discussing about launching the new political party which they call it Common People’s Convention and Odili is there as one of the member of the party and as Odili has found it there thought it could be very easy for him to revenge Chief Nanga’s promiscuity. Still in the room the discussion is about the name of the party and others do propose that the party should be made of only professional men and therefore do not agree the party to be called as Common People’s Convention and refer back to the history of Carl Max and the greatest revolution was not launched by common people but intellectuals. Also they do not agree the party to be understood as communist, as they will say “Look at those crazy people who want to have everything in common including their wives”. Odili returns to Anata on 23rd December after Max and his fiancée, Eunice had tried in vain to make Odili spend Christmas in Bori. The lorry drops Odili at the small roadside market called Waya and one person helps Odili to carry the luggage and reaches home to get rid of tiredness but the noises from Josiah’s makes out of the house. Odili comes across the incidence of Josiah and the blind beggar Azoge whereby Josiah gives Azoge rice to eat and palm- wine and on return Josiah exchange Azoge’s stick with the other old stick and when Azoge wants to quite he recognizes that the stick was changed and leads the people who were in the market come near the shop and recognize that Josiah intended to make the people blind and whatever they need would go to Josiah’s shop as one old woman says “so the beast is not satisfied with all the money he takes from us and must now make medicine to turn us into blind buyers of his wares”. Then a palm-wine tapper says ‘some people’s belly is like the earth. It is not so that it will not take another corpse’. This action makes all the people in the village not to go to Josiah’s shop and after one week Josiah had no any buyer of his wares and before the mouth was out the shop and bar closed and Josiah disappear. Also, the other day Odili visits Mrs. Nanga in the village and reaches her with her children and Odili tries to tell Mrs. Nanga that the house is very cool at Bori when it is out of her and children then Mrs. Nanga says that she will go back after the month when Chief Nanga will be on the way to America and Odili asks Mrs. Nanga if they would go together with Chief Nanga and Mrs. Nanga says “when Edna comes she will go to those places”. This leads Odili to get to know about the woman called Edna. And Mrs. Nanga says Edna is their new wife. Mrs. Nanga tells Odili about how Chief Nanga married her and Mrs. Nanga says she passed the entrance to a secondary school but her parents did not see the importance of much education and then made the marriage possible. Also Odili by the support of Eddy the eldest son of Mrs. Nanga manages to visit Odo where he wanted to meet Edna and at the time Edna was preparing some food for her mother who is in hospital and therefore Odo calls Edna to see Odili and when Edna Comes remembers the visitor as Samalu and he introduces himself that he has been sent by chief Nanga to pay visit there and know about Edna’s mother condition and the answer is just mother is still sick and Odo adds that there is no money for food. Lastly when the food is ready Odili Offers Edna lift to hospital and unfortunately on the way they get an accident and all the soup and green leaves is spoilt and mixed with sand that leads Odili to take some money and buy some breads and corned beef near the hospital for the patient. This chapter begins with Odili return to Mrs. Nanga’s home where Edna is going to spend Christmas morning and helping Mrs. Nanga. When Odili arrives Chief Nanga’s house he finds that Edna is not there rather he finds young man who says that Chief Nanga is his brother and calls himself P.I.V.-Poor Innocent Victim and forces Mrs.Nanga to give him drinks. Two hours after Odili has reached then comes Edna with a car that was sent to bring her. After the drunken visitor has gone Mrs. Nanga takes Odili to V.I.P room and sends Edna to Odili with bottle of beer and a glass on a tray. Edna serves Odili silently and goes to lean with her elbows looking outside. And later Edna sits down and Odili starts giving advice Edna about not to agree about marriage and Edna guess that Odili was told by Mrs. Nanga and becomes sad about it and then things are settled. Meanwhile Odili is summoned to Bori by Max to attend launching of the C.P.C. After the launching of the party Odili returns to Anata with his Volkswagen and then visits Edna where Odili is told that Edna has gone to look his grandmother in another village, hence Odili goes back home and compose a letter to Edna as to why she should not marry Chief Nanga. When Odili announces tha He is going to contest Chief Nanga’s seat everybody laughed except Josiah. Chief Nanga’s constituency is made up of five villages including Odili’s village Urua and Chief Nanga home base Anata. Adili call inaugural meeting in the assemble hall of the school but it is disrupted by Mr. Nwege the proprietor. Then Odili visits again Mrs. Nanga’s home and when Mrs. Nanga sees Odili she becomes sad because Odili contests with Chief Nanga. After meeting Mrs. Nanga then Odili goes to the Anata Mission Hospital to see Edna but the gate man refuses to get into the hospital with his car and the gate man shouts at Odili, but unfortunately Odili does not find Edna in the hospital then he decides to go to Edna’s home although Edna’s father had told him earlier not to set foot over the area. Odili manages to see Edna but Edna is scared of his father and tells Odili to go yet Odili refuses and Odo decides to call the people for Adili in order to threaten him Edna’s father aims the matchet to Odili and ask him who does he want there and simply Adili says “I came to persuade him and his family to cast their paper for me on voting day” (pg.106). Then Odo decides to advice Odili and he tells Odili that “my in law is like a bull and your challenge is like the challenge of a tick to a bull”. Finally Adili decides to go and Edna rises to see Odili leaves the place. Odili is in the way to home trying to think about his courage before Edna and when he reaches home he comes across the letter from Edna that was brought early in the morning after he left home. The letter is about the answer about what Odili advised Edna few days back and within it Edna says that she will not be able to refuse marriage because her father is so rude and he may kill her and the reason behind is how to return the money that Chief Nanga used to pay for Edna’s education. Then Odili returns to his village trying to organize his four body guards and their leader who is Boniface who earns ten pounds a month much less than other three, and Odili prepares weapons with his body guards so as to defend himself from enemies of progress such as Youth Vanguard or Nangavanga. When Odili is in the way he comes across the people caring placards written NANGAISM FOREVER SAMMALU IS TREITOR, Boniface gets out of the car and grab two of the leaders and bits them badly. The other day on early in the morning Boniface and other stalwarts awakes Odili and demands their salary increase up to twenty five pounds but still Odili has no money to give his bodyguard. Odili’s father who is the local chairman of P.O.P in our village Urua does not mind about Odili’s decision to be in C.P.C. One day about noon sitting outside Samalu’s house reading newspapers Chief Nanga’s Cadillac is approaching and Chief Nanga greats Odili and Odili replies with no interest and Odili does not talk any further words. In the same day Chief Nanga goes with some money that he intends to bribe Odili under the umbrella of scholarship but Odili refuses. Thechapter begins asOdilidiscusses some issues with his father on the offer given to Odili by chief Nanga. The next day was the arrival of max and the whole campaign team of C.P.C party in Bori. Then, Odili’s father gave them chance to conduct their campaign in his home place regardless his position to P.O.P. The campaign was conducted fully with deliberately speeches from Max and Odili , then the journey to Anata by max and the whole campaign team as well as Odili. In Anata,Odili decides to go to see Edna to her home but he was very disappointed by the feedback to his request from Edna. At the end of the chapter the removal of Hezekiah Samalu from his position as the local chairman of P.O.P was announced in the radio because he had been conduct antiparty activities. In the beginning, the sound of the crier’s gong was heard announcing to the majority on the decisions made by elders and councilors that the majority should vote for Chief Nanga as he is the one and only approved by the elders and councilors of Urua. In the next day, councilor couple had to see Odili’sfather aimed to have a sign from Odili’sfather on certain document but Odili’s father refuses to do so. Odili seems to plan on how to go to Chief Nanga campaign. A short distance near the place Chief Nanga conducts his campaign,Odili parks his car and slowly starts to move to the place where Chief Nanga conducts his campaign. As the campaign goes on, Josiah the shopkeeper moves to the dais and talks to Chief Nanga pointing the direction where Odili stands. In his process to escape, Odili was caught and he was tortured by chief Nanga and his stalwarts lead Odili to be sent in hospital for further treatments. In hospital Odili was under arrest because he had a case of possessing dangerous weapons found in his car, where by the car was destroyed by the chief Nanga followers. Edna and Odilis father were very close to Odili in his existencein hospital. Odili receives different information such as the lost of the form to sign for election and the death of max in Abaga, the last night, where by, max’sgirlfriend, Eunice had revenge to her boyfriend death by shooting Chief Koko on his chest to death, then she was prisoned. At the chapter, Odili seems to apologize to Edna on his letter full of insults to her. Then, after Odili’s illness, the procedures for marriage between Odili and Edna take place. Setting refers to the time, place and circumstance in which literary work is put. The setting of the novel of “A man of the people” is imaginativein which an author used towns, cities and villages which are not real such as Bori, Urua ,Anata and Abaga. But what were happened in those imaginative towns, cities and villages resemble the realities and life experiences in most of African societies especially in Nigeria where the author originated. Ignorance, this is a condition in which someone lacks knowledge or information on something. From the book the situation was shown as Odili tells us on people of Anata that, “…they were not only ignorant but cynical…”(page. 2 ), they didn’t know that Chief Nanga used his position to enrich himself. Betrayal, this simply refers to going against legal agreement. In the book, the betrayal was shown by the prime minister after the suggestion of minister of minister of finance on cutting down of coffee’s price to meet the world market, then the minister was sacked by prime minister, (page 3). Also Chief Nanga seemed tobetray Odili by seducing Elsie, Odili’sfiancé. Superstition, this refers to a belief not based on human reason or scientific knowledge, that future events may be influenced by ones behavior in some magical ways. In the book the situation was shown by chief Nanga when he arrived holding animal skin in which they believed it removes all evil designs, (page 7). Also Odili’s father shows the superstition on the protective medicine located at crucial point of the house, (page28). Nepotism, this means the favoring of relatives or personal friends because of their relationship rather than their abilities. In the book, the situation was shown by chief Nanga tells Odili that he waste his time at village and tells him to go to the city and take a position in the civil service because who are there are from the same village, ( page 12 ). Polygamy; this refers to the condition of having more than one marriage partner at one time. In the novel, Hezekiah Samalu had many wives, “…he had too many wives and children…” (Page 27 ). So, Hezekiah Samalu was portrayed as polygamist. Hostility; this refers to a condition of being hostile among the two sides. In the novel, Odili’s father had many enemies since he became an interpreter, “…no son of Hezekiah Samalu’s shelters under my roof…”(Page29), this statement was stated by the father of Odili’sfriend. Further, hostility was between Odili and Chief Nanga started as chief Nanga seduced Elsie, Odili’s fiancé.. Hypocrisy, this simply refers to the false appearance of a someone, where someone is pretending in his or her acts. In the novel Chief Nanga was portrayed as the hypocrite when he tells Odili how he hates to be a minister, “…if anybody comes to you and wants to make you minister, run away…”(Page36 ). Also, chief Nanga seemed as a hypocrite when he tells Odili on the teaching professional that he wish to be a teacher again rather than to be a minister. Irresponsibility; this refers to a condition in which someone is incapable of performing his or her duties. In the novel, the author portrayed Chief Nanga as an irresponsible leader as he fails even knowing names of few writers in the country despite being a minister of culture, “…Chief Nanga hadn’t even heard the man‘s name before …”. Also chief Nanga’s brother calling himself P.I.V a poor innocent victim, portrayed as an irresponsible one because he complain on his brother chief Nanga who isV.I.P while he is drinking some beer without working, ( page 95 ). Corruption; this is the illegal use of public office or fund. In the novel, Chief Nanga portrayed by the author as a corrupt leader, he tried to bribe Odili to step down from election, “…take your money and take a scholarship to go and learn more books, and leave the dirty game…” (Page118 ). Also the author portrayed Chief Koko too as a corrupt leader who bribed Maxwell Kulamo to step down from election, “…Maxwell Kulamo has more sense than you. He has already taken his money and agreed to step down for Chief Koko…”(Page119). Brutality; this refers to the state of being not fair to others, always in form of violence. Chief Nanga seemed to be brutal in the novel when he pushed Edna on the dais, “…he pushed her so violently that she landed on her buttocks…” (Page 140). Further, Chief Koko was portrayed too as a brutal person when he led to the max’s death in Abaga (page 142). Revenge; this refers to condition of hurting or harming someone in return. In the book, Eunice did revenge by shooting Chief Koko in his chest who led to the max’s death, his fiancé, “…took out pistol instead and fired two bullets in to Chief Koko’s chest…” (Page 143). Also, OdiliSamalu had a revenge to chief Nanga by taking Edna from his hands as chief Nanga seduced Elsie, the Odili’sfiancé. (i) Restriction of ignorance is a step towards development. People of Anata did not know that Chief Nanga was an enemy of the people as he used his power to enrich himself and not others. (ii) Irresponsibility leads to unprogressive society. Chief Nanga’s brother calling himself a P.I.V, a poor innocent victim sits down and drink beers without working, and still lamenting to his brother chief Nanga for his wealth. (iii) Corruption is a great obstacle towards development in our societies. For example OdiliSamalu was bribed to step out of en election, so the development could not take place with the same irresponsible leader in the country. (i) Woman as a family carer; in the novel the first Hezekiah’s wife called mama was responsible for caring of the whole family, “…my first father’s wife, whom we all call mama brought me up like one of his own children..”. (Page 27). (ii) Woman as revolutionist; from the book, author portrays Eunice as a revolutionist, as she performs the anti-governmental activities. (iii) Woman as an educated person; in the novel, author portrays Eunice as educated one as lawyer, also he portrays Elsie as educated one as a nurse. (iv) Woman as a weak person,in the novel, author portrays Elsie as a weak person as she failed to resist against chief Nanga from being seduced. Plot refers to the flow of events in a literary work. The author of the novel of “A man ofthe people”arranged the events in to 13 chapters in his book. Chinua Achebe used chronological order at large extent and flashback in some extent. Chronological order, this refers to the kind of plot in which the events are arranged from the beginning to the end. For example, in the novel, the events were arranged from when chief Nanga pays a visit at Anata his home village (page 1), to when the army took over the power from corrupt and irresponsible leaders. Also, flashback refers to the kind of plot in which the past events are inserted to the present events. In the book, the author used flashback when Odili tells the past life of chief Nanga when he was a teacher sixteen years ago (page 2_3). Further, the author used flashback Odilitells his story when he was in Giligili as a houseboy in a certain house where his first time to see water was closets house (page 41). (i) Chinua Achebe presented his work his work by narrative form in large extent, and dialogue form in small extent, for example, dialogue between Odili and the father of his friend, (page 29). Further, a dialogue between stalwarts and Odili, (page 31). (ii) The author employed the use of notice in the novel, (page 40). (iii) The author also employed the use of songs in the novel, (page 96), and (page 122). (iv)The author the use of biblical passage, he used Mathew 2:18. (Page 83). This refers to how an author employed the use of language (simple or complex), literary techniques and figure of speech. (i) Gold and chain to symbolize wealth (page 7). (ii) Kidney pie, steak and milk grill to symbolize western culture on food (page 46). (iii) Azoge’sstick to symbolize small remained wealth of an individual (page 85). (iv) Chief Nanga to symbolize selfish persons and irresponsible ones. Repetition; this refers to the literary technique of repeating the same word frequently for more emphasis, for example, “…sir, sir, sir…” (Page 9),“…hear! Hear!..” (Page 10), also “…no, no, no, I said…”(Page 93). Hyperbole; this refers to a figure of speech in which something is described as better than it really is. For example, chief Nanga says“… it is a mammoth crowd…” (Page 10), but in fact, people were not many as mammoth crowd. Saying; this refers to a phrase expressing a basic truth which may be applied to common situation. The author of the novel employed the use of saying frequently in his work, for example, Chief Nanga says “…do the right and shame the devil…”(Page 11), “…better the water is spilled than the pot is broken..”(Page 28). Simile; this refers to a figure of speech in which two things are compared using “like” or “as”.The author used simile like, “…he looked as bright as new shilling…” (page 38), “…blows were falling as fast as rain…”(page 140), “…her back was as perfect as her front…”(page 92), “…a sadness deep and cool like a well…”(page 140). Metaphor; this refers to a figure of speech implies comparison of two unlike entities without using of “as” or “like”. The author used metaphor like when Chief Nanga says “…he has become an earthworm…”(page 42). Ellipses; this refers to the omission of grammatical words in a sentence or phrase, for instance the author used ellipses like “…you didn’t tell me,Mr.…er…” (Page 62), “…a brilliant song called…erm…what is it called again?...”(page 63). Personification; thisrefers to a figure of speech in which inanimate object is given human qualities. In the novel, the author employed the use of this like, “…if alligator comes out of the water one morning and tells you that, crocodile is sick …” (page 120), butin fact an alligator cannot speak a word, and“…what one dog says to another…”(Page 125). Imagery; this is visible representation of an idea, concept, object or realities. In the novel, imagery was employed like “…he has now an ice cream eating permanent secretary…” (Page 109), an ice cream is an imagery representing the national wealth. The book is very relevant to our current societies, because all things which discussed with in the book by the author are those found in our current societies especially in African countries. For example, the issue of corruption has been discussed by author by using Chief Nanga who tries to bribe Odili by giving him a certain amount of money but Odili rejected so even in our societies the issue of corruption is the big problem because higher leaders tend to practice corruption. So, this book is very relevant to our societies. The title of the book of “a man of the people” is ironic that it is not relevant to the content of the book as we expected that the novel to be called “a man of the people” should adhere and expect to see the issues risen to be good and support what the title suggests but is contrary different because what are expressed in the content of the book are the evils done by a person whom people tends to call him as “ a man of the people” but in fact the person do not deserve to be called so.